Our culture of placing client service first has helped us attract an extraordinary group of professionals and staff committed to a single goal: to serve our clients extremely well. Please feel free to contact us directly with your questions at 206.736.0500 or if you’re not sure who to ask, send an email to contact@pillarintl.com. Rod Bench has been in the wealth and risk management business since 1972. 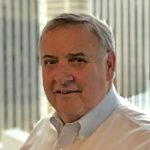 He was the founder and principal of RA Bench, a highly successful financial services organization in Seattle, and managed the firm prior to its sale to USI Kibble & Prentice in 2010. 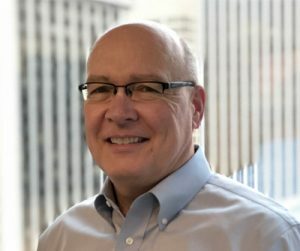 He previously served as an executive officer of New England Financial and was responsible for the company’s marketing efforts; its product development; and the legal, design and administration teams supporting all employee benefit plans for both retirement and health and welfare plans. In 2016, he joined the group which acquired the individual life and disability insurance business of USI Kibble & Prentice as an equity principal and serves on the management committee of Pillar International Insurance Advisors. 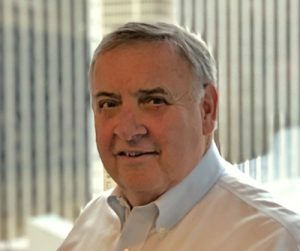 Rod acts as a senior advisor to many family owned enterprises regarding their succession planning and wealth management issues both in the U.S. and abroad. 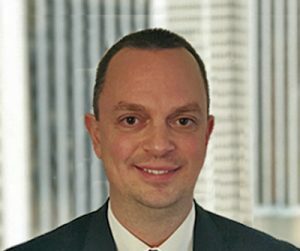 He is also a recognized expert on the design, financing, reporting, and integration of all forms of executive fringe benefit plans; and the structuring of investment and insurance arrangements to meet the financial and reporting requirements of these programs for both private and public concerns. Rod is currently a trustee and executive committee member for Seattle University, a past trustee for Lakeside School, and a director for a number of industry and charitable organizations. He is a Chartered Life Underwriter and holds advanced designations in Business Tax Planning; Pension Planning and Estate Planning from the American College. Rod and his wife, Mary Jo, reside in Seattle and Napa, CA. Connie Carroll has over 20 years of experience in insurance planning and advanced underwriting for individuals and corporations. She acts as an advisor to businesses on succession planning, key employee and executive benefit plans. Connie advises families and individuals on estate planning, personal protection strategies, and managing the risk of long-term care. Before joining Pillar International, she was a partner at The Lyman Group responsible for client marketing, business development, and relationship management. 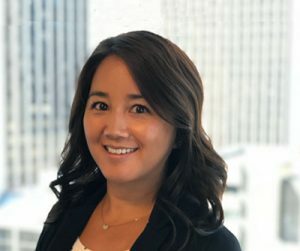 In addition, she spent ten years with M Financial Group in Product Development and Sales Support, leading the company’s sales and marketing team. Connie returned to her roots with Pillar International, as she began her career at RA Bench years ago. 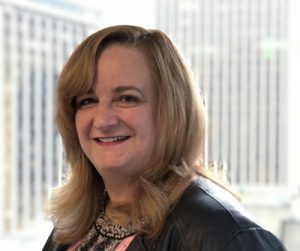 Connie is a member of the Association of Advanced Life Underwriting (AALU) and a a member of M Financial Group’s Diversity and Inclusion Committee. 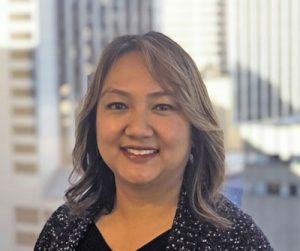 She is a board member of Pacific Northwest Insurance Council (PNWIC), an industry group committed to advocacy and fundraising for Provail, a Seattle-based nonprofit organization whose mission is to help people with disabilities fulfill their life choices. She is the President of the Board of Directors for Elizabeth Gregory Home, a nonprofit organization that provides resources and a welcoming refuge for women at risk or in need. 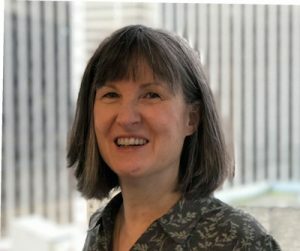 Connie has spent most of her life in the Pacific Northwest, attended the University of Washington, and enjoys spending time outdoors and on the water with family and friends. Karen Dacek has degrees in Politics and Spanish from Miami University (Ohio) as well as a Masters in International Management from the AGSIM (Thunderbird). Karen began her career in life and disability insurance when she joined Paul Revere brokerage in 1991. 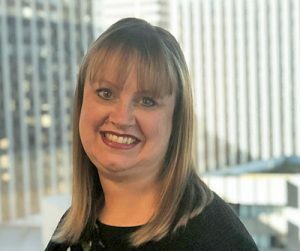 After three years of serving as an individual disability sales consultant at Paul Revere, she left for an opportunity to lead a new corporate/executive benefits sales division for UNUM Life Insurance. At UNUM from 1995-2000, Karen was consistently within the top 10% nationally of individual sales consultants, and earned the designation of Representative of the Year in 1998. 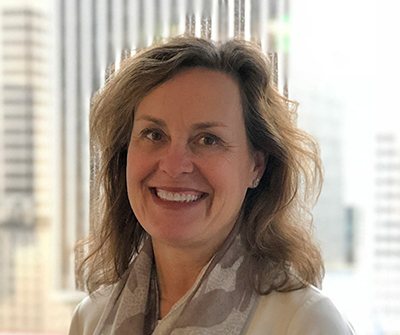 It was at UNUM that Karen honed her knowledge of combining traditional group and individual product lines to help maximize benefits for key executives. Karen joined RA Bench in 2000 to support the firm’s efforts in disability/LTC sales as well as establish a general agency for long term care products. 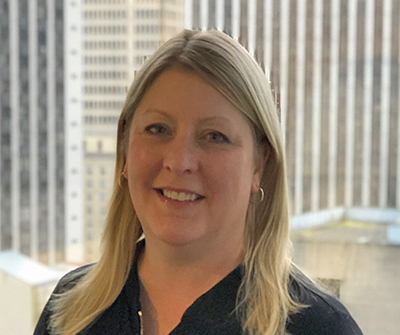 When RA Bench was sold to Kibble and Prentice/USI, Karen elected to accept a position near her home on Bainbridge Island as a project manager with Clark Construction, LLC. In 2017, Karen joined forces again with her insurance “family” at Pillar International. 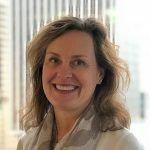 She focuses her practice on life, disability and long term care protections as stand-alone products as well as within the multi-life, corporate market. Karen lives on Bainbridge Island with her three children and menagerie of animals. 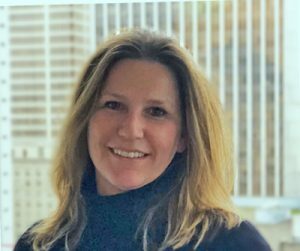 Kari joined Pillar in 2017 to manage the firm’s qualified plan business and client relationships. She began her career at Russell Investments (then, Frank Russell Company) in 1989 where she held client service and operations positions at Frank Russell Securities and Frank Russell Trust Company for eight years. In 1997, Kari joined RA Bench and managed the firm’s qualified plan business until 2010. She was responsible for developing and managing the investment due diligence process including, provider selection and reviews, investment selection and monitoring, investment policy statement design, trustee/investment committee reviews, and participant education. After RA Bench was sold to Kibble and Prentice/USI, Kari formed KM Asset Solutions, a registered investment advisory firm, in 2011. KM Asset Solutions was formed to provide investment advisory services to plan sponsors of qualified retirement plans. That business was merged into Cadence Wealth Management, LLC in 2012, where Kari continues to serve as an Investment Advisor Representative and manage the firm’s qualified plan business. 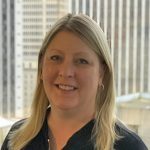 In addition, Kari is an independent contractor with Russell Investments as a Senior Oversight Analyst on the Global Manager Oversight and Due Diligence team. Kari graduated from Pepperdine University with a Bachelor of Science in Business Administration followed by a Master of Business Administration degree in Finance from the University of Notre Dame. Kari and her family live in Gig Harbor, WA. 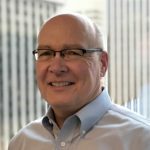 Tom Morton was appointed General Manager of Pillar International Insurance Advisors LLC in October 2016. Prior to coming on board at Pillar, Tom served as a Senior Vice President and Legal Counsel at ATREG, an advisor to the semiconductor industry. Tom joined ATREG in 2007 as a Legal Consultant. He was instrumental in turning ATREG, a specialized group of Colliers International, into an independent operating entity in September 2010. Earlier in his career, Tom was a Senior Vice President of Business Affairs at PlayNetwork, Inc., a digital music, content and technology provider. He also served in key leadership positions at Crows Nest Entertainment, Inc., where he was Vice President of Finance & Administration, a Shareholder and a Director. Crows Nest Entertainment, which provided music and video networking services to national retailers, was acquired by PlayNetwork in 2005. In 1998, Tom was a Partner of Bogie & Gates, PLLC. For 11 years, he was an Associate and then a Partner at Carney Badley & Spellman, PS. From 1986 to 1987, he was an Associate at Lane Powell PC. From 1979 until 1985, he was a Staff Accountant at McFarland & Alton (now Moss Adams LLP). Tom has a Bachelor of Business Administration and Accounting from the University of Notre Dame, a J.D. from Gonzaga University School of Law, and an LL.M. (Taxation) from New York University School of Law. He currently lives in Seattle and is married with two grown children. In his spare time, Tom volunteers at a homeless shelter and enjoys riding his bicycle and playing golf. Pillar International Insurance Advisors is a member of M Financial Group. Please go to www.mfin.com/DisclosureStatement for further details regarding this relationship. Check the background of this Firm and/or investment professional on FINRA's BrokerCheck. Securities and Investment Advisory Services offered through M Holdings Securities, Inc, a Registered Broker/Dealer and Investment Advisor, Member FINRA/SIPC. Pillar International Insurance Advisors is independently owned and operated.